(Samuel) Luke Fildes (1844-1927) was born in Liverpool, England. He studied at the Mechanics Institute in Liverpool, the Warrington School of Art, the Kensington Art School in London and the Royal Academy. Fildes began his career as a sought after book and magazine illustrator. His work appeared in the “Morning Post”, “Fox’s Book of Martyrs”, the “Illustrated London News”, “Good Words” and a number of other periodicals. Later in his career he produced a large number of caricatures for Vanity Fair. Those drawings were signed “ELF”. He joined the efforts of the social reformer William Luson Thomas in 1869 when he joined Thomas’ weekly newspaper The Graphic. While at The Graphic, Fildes worked with Hubert von Herkomer, Frank Holl and John Millais. The newspaper covered literature, arts, sciences, the fashionable world, sport, music and opera. Fildes’ Houseless and Hungry was included in the first issue in 1869 and helped to launch the newspaper. 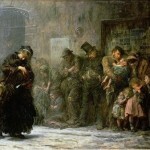 The illustration was used in an article about the 1864 Houseless Poor Act which permitted the homeless to spend the night in the casual wards of workhouses. Fellow artist and contributor to The Graphic, John Everett Millais (1829-1896) was so impressed with the work of young Fildes, that he showed the engraving to his friend Charles Dickens. Dickens had lost his previous illustrator to infirmity and was seeking an artist who could bring his words to life. Dickens commissioned Fildes to illustrate The Mystery of Edwin Drood. Twelve illustrations had already been completed when Dickens invited Fildes to join him at Gad’s Hill, Dickens home, in order to see first hand the inspiration for the book. With his bags packed and about to start his journey to visit Dickens, Fildes learned of the author’s death. Dickens’ family invited Fildes to come and finish the work he and Dickens had started. 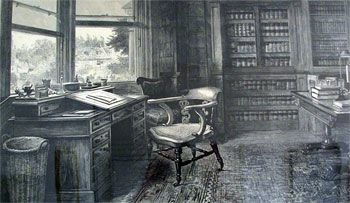 While there, Fildes drew “The Empty Chair, Gad’s Hill – Ninth of June 1870″ showing Dickens’ empty desk and chair. The drawing was published in Christmas 1870 edition of The Graphic. Thousands of prints of The Empty Chair were sold and many English homes hung the prints in their homes. Fildes would later paint a watercolor of the drawing and the drawing was republished several times to mark the passing of prominent personalities. The concept of The Empty Chair depicting the absence or loss of someone was inspiration to later artists including Vincent Van Gogh and Robert William Buss (1804-1875) who painted “Dicken’s Dream” depicting Dickens surrounded in his study by the characters of his imagination. When Charles Dickens died, Fildes decided to take the risk of moving from illustrator to a painter in oils. Fildes turned to Millais for advice, bringing with him two of his earlier works, Homeless and Hungry and Fair, Quiet, and Sweet Rest which Fildes had drawn for “Once a Week”. He asked Millais, a painter of some reknown, which sketch would have the best likelihood of being successful. The sketches in question would later become two of earliest works, “Fair Quiet and Sweet Rest” and “Applicants for Admission to a Casual Ward.” Millais told Fildes that “Fair Quiet and Sweet Rest” could be easier marketed. Probably hidden in that advice was the knowledge that “The Casuals” would be a more difficult picture to paint and the budding young artist could learn from the first many skills needed to make the second. “Fair Quiet and Sweet Rest” was Fildes first oil and amongst some criticism was “hung on the line” in the Royal Academy Exhibition of 1872. “Simpletons” followed in 1873 and “Applicants for Admission to a Casual Ward” followed in 1874. “The Casuals”, as it was often called, was also displayed at the Royal Academy in 1874 but had to be protected by a railing and a policeman. It also became a huge symbol of the disparity of lifestyles in the Victorian era and called dramatic attention to the plight of the poor. 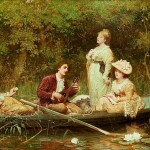 In 1874, Fildes traveled to Venice. He found the dress and overall appearance of the Venetians more conducive to being painted than he had found the English. He would merely walk down to the town market and find numerous willing models to paint. 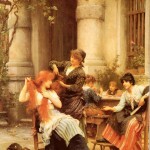 Many of his paintings during his stay in Venice are of young women. His most successful painting from this period was “An Al-Fresco Toilette”. In 1875, Fildes painted “Betty”, a painting of a country milkmaid. In 1876, he painted another massive work, “The Widower”. With it’s success many thought Fildes had earned membership into the Academy but it would be three years until he was elected to the Associateship of the Royal Academy in 1879. In 1877, his eldest son Philip, died of tuberculosis. 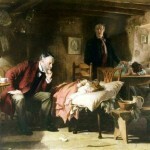 The image of the doctor tending to his ailing son would become the inspiration for a later work. 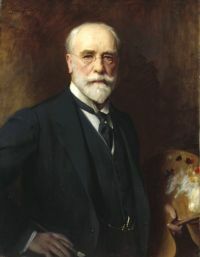 Sometime after 1887, Fildes turned to portrait painting. His first portrait was of his wife. He exhibited that portrait and one of Mrs. W. Lockett Agnew in the Royal Academy Exhibition of 1887. The paintings revealed Fildes’ talents for lady’s portraits and he quickly become inundated with commissions. 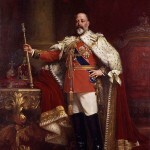 He painted many of the day’s elite including King Edward and other royal portraits. An Al-Fresco Toilette was displayed at the 1889 Royal Academy Exhibition. Perhaps his most famous work, The Doctor, was released in 1891. The Famous Artists talks further about the history of that painting, including the life-sized model used by Filde. Success created a dilemma for the artist. Despite trying to deter people from commissioning him to paint their portraits, Fildes found himself with more orders than time to fulfill them. He increased his output to the detriment of the quality of his paintings. He reduced the number of commissions that he would accept each year and his paintings returned to their previous quality. In 1893, he was commissioned by The Graphic to paint the portraits of the Duke and Duchess of York to commemorate their impending wedding. He was given unprecedented access to the young couple and the original paintings were given to the Duke and Duchess by the proprietors of the periodical. These portraits led to a number of portraits of others members of the royal family. In writing this article for The Famous Artists, I found very little information on the personal life of the artist which has unfortunately made this article a bit dry. 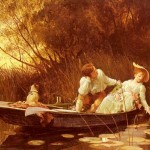 I did find the story of how Sir Luke Fildes met his wife. Fildes was friends with fellow artist Henry Woods. They would often go to the Thames to sketch. Woods had two sisters, who during one visit with their brother, would spend time with the two artists. Miss Fanny Woods often became a model for the artists. In fact, she was the model for the seated girl in “Fair, Quiet and Sweet Rest”. The two were married in 1874. Lady Fildes was also a painter. And their son, Sir Paul Fildes (1882-1971) became an eminent scientist in the fields of pathology and microbiology. Samuel Luke Fildes was knighted in 1906.